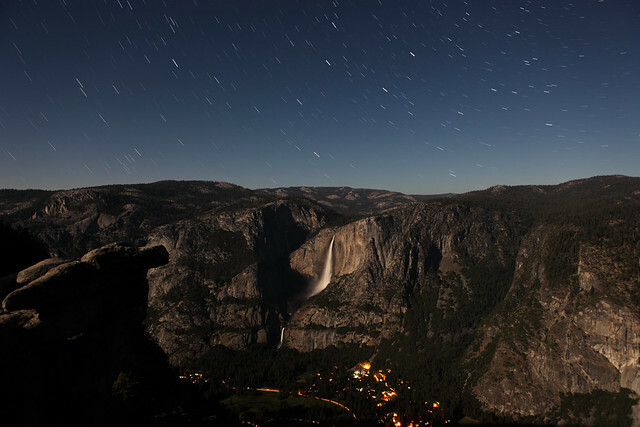 Boffins predict a moonbow at Yosemite Falls late Friday night through early Saturday morning. Heads up for the photographers on this forum!. Clicky link to the boffin page. Blah damn! 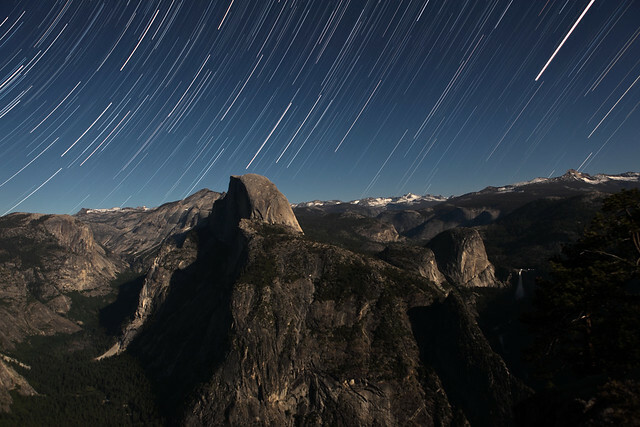 I will probably be there Friday night but I was planning to stay up the Tioga Road to visit Taft and Glacier Points in the morning, I was thinking of trying to do photos in the full moon on Glacier point though so maybe I will get lucky enough to see one from up there. Moonbow - once a year, if that. Full Moon - at least 12 times a year. Hie thee to a good lookout, expose, & post here. And yes, I agree the reward is fuzzy feel-good, not paid in dollars. It would seem that the moonbow is only visible at the lower falls and from the valley floor at places where the lower falls are visible. Am I right on this? I'm really thinking about going up there and shooting some video. If I can't get the moonbow I'll shoot some video of Turlock from Half Dome. You can't see the moonbow from Turlock. PM Rogue & organize different views. For the better good of the community. Lol we need photographers all over the place to get all angles! I do know that you can see a moonbow on more than the lower falls as I have seen a picture of one from the upper falls taken from the valley floor. There is a picture posted on one of the photo links that looks like it's taken from the south side of the valley. It does show a moonbow on both the upper and lower falls. which is listed on this (Texas State University) page. Here is a link to the thesis. Just cut & paste to your browser's address box. The file is named "fulltext.pdf". Warning: It is a ~7Mb pdf file which is downloaded. Not for dialup users. Contains math and a computer program. Well judging by all that I think it will be impossible to see a moonbow from Glacier Point but at least I still can enjoy the full moon! I want that moonbow shot with full star trails behind it! Well made it up on Glacier Point Friday night or should I say Saturday morning at about 2am, played around with photography and came up with these: not the best but I like them. I only had one more shot of Yosemite Falls more zoomed in, the one with Half Dome is 154X 15 second exposures. It's got a couple of pics from last Saturday night. I have seen a moonbow while traveling across the desert at night. It seemed the clouds with silver limings on a full moon night was the catalyst for the "bow". Even though it has been 30 years, I still smile every time I think about. The light was more of a luminous effect when viewed with the naked eye - the camera eye must bring out the brightness of the colors. If those "aren't the best", then I'd be in awe of any that are! These are amazing! My wife is a photographer too, and she's always obsessing self-critically over small details and nuances in photos that no one other than her or other photographers will ever notice. Did I say your pictures are amazing? Well glad you enjoy them, after all the primary reason I take pictures is for others to enjoy. Generated in 0.100 seconds in which 0.018 seconds were spent on a total of 14 queries. Zlib compression disabled.